More Peace Of Mind. More Selection. More Value. Jeff Gordon Chevrolet offers something you never thought was possible – New car value at a used car price. And with over GM 300 Certified vehicles to choose from at JeffGordonPreOwned.com, you’re sure to find the right vehicle at the right price. Enjoy the peace of mind knowing every Jeff Gordon Certified Pre-Owned vehicle comes with an Extended New Car Bumper-to-Bumper Limited Warranty and a CPO Scheduled Maintenance Program. GM Dealer of the Year and GM Certified Used Sales Leader for 10 consecutive years, you can rest assured we’ll be there for you long after the sale. 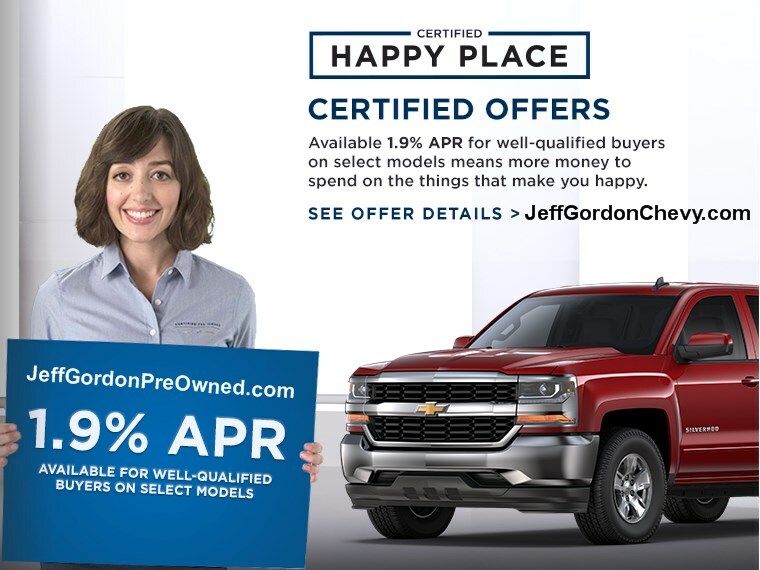 Take advantage of 0% APR finance offers -OR- No payments for 90 days on most popular Chevrolet models at NASAR Champion driver Jeff Gordon's award wining dealership in Wilmington, North Carolina. Hurry in for the best selection, because when they're gone....they ae gone!! 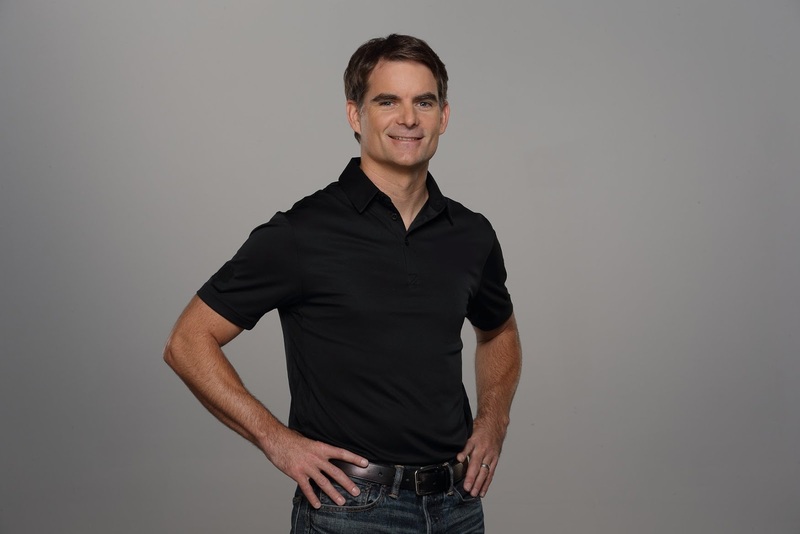 Jeff Gordon Chevrolet is announcing new incentive programs to support in the recovery efforts from Hurricane Florence. We extend our deepest sympathies to those affected by this natural disaster and the staff at Jeff Gordon Chevrolet is here to support you as you rebuild. Jeff Gordon Chevrolet means business when we say we know how hard you work. So we're going to lighten your load with exclusive Private Offers on over 900 Fleet, Commercial and Work Trucks like Silverado, and Silverado HD vehicles. 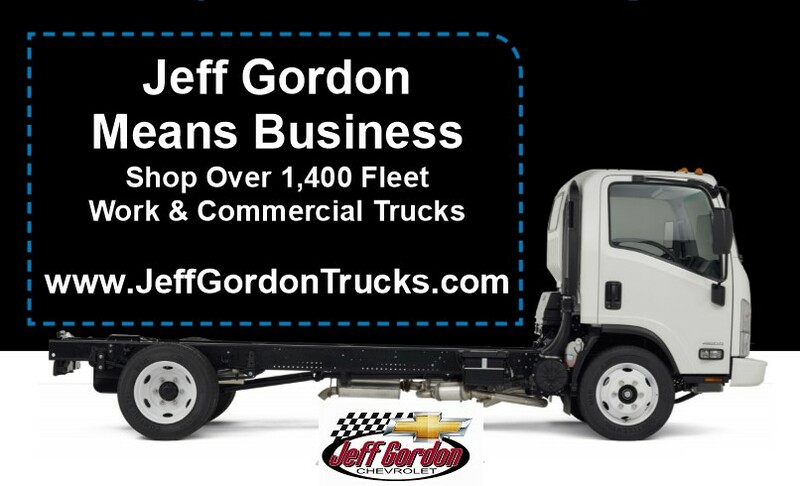 Jeff Gordon is the Exclusive Chevrolet Business Elite dealership in Wilmington with over 900 Fleet, Commercial and Work Trucks to choose from. Regardless of what profession you're in, you need specialized vehicles and seamless service and quality upfits. Jeff Gordon Chevrolet has all the tools you need to make it all work painlessly. Redeeming your Private Offer is easy! Visit Jeff Gordon Chevrolet at 228 S. College Road in Wilmington, North Carolina and provide proof of membership when you come to test drive. 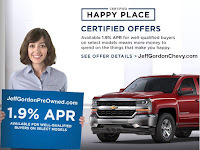 As one of the major automotive manufacturers of the National Association of Home Builders (NAHB), Jeff Gordon is pleased to extend this private offer up to $1,000* toward the purchase or lease of most new Chevrolet vehicles to association members. Come to Jeff Gordon Chevrolet and choose an eligible vehicle, and present your NAHB Proof of Membership form. You can also stack this offer with additional current incentives from the National Fleet Purchase Program** and Business Choice***, and Fleet Cash****. Chevrolet Low Cab Forward and City Express receive a $250 Offer for both Fleet and Retail deliveries. Retail Deliveries for all other eligible vehicles receive a $500 Offer. Fleet Deliveries on Chevrolet Traverse, Silverado, Express, Suburban and Tahoe receive a $1,000 Offer. All other Fleet deliveries receive a $500 Offer toward the purchase or lease of eligible 2017, or 2018 Chevrolet vehicle. Customers must take delivery by 1/2/19. The vehicle being purchased or leased can be in the name of the eligible association member or the name of the members’ business. The retail offer is in addition to most eligible General Motors national, regional, and consumer retail incentive programs in effect at time of delivery, including Business Choice Offers. Incentives are subject to change. 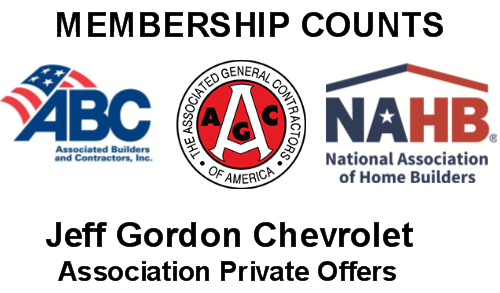 Fleet customers are eligible for the National Fleet Purchase Program (FVX) plus the NAHB private offer and Business Choice. This private offer cannot be combined with other private offers or with CAP incentives. This private offer may not be received as cash. This private offer is not available on prior purchases. Fleet Account Number [FAN] required for $1,000 private offer. Buy a new Silverado from Jeff Gordon Chevrolet this month and all your dreams will come true. Because it's Truck Month and if you take delivery before July, 31st, you can save 18% Off the MSRP of a 2018 Silverado Crew Cab LT.
Or you can lease a 2018 Silverado All-Star edition for as low as $299 a month. Still think you're dreaming? Well you're not, wou're woke as truck, so take advantage of these deals and save big! 1. Offer includes price reduction below MSRP and Cash Allowance. Must finance with GM Financial. Some customers may not qualify. Not available with special financing, lease and some other offers. Take new retail delivery by 7/31/18. See participating dealer for details. 2. 2018 Equinox LT based on MSRP $29,740. 2018 Silverado 1500 Crew Cab LT All Star 4WD based on MSRP $50,005. 2018 Silverado 2500HD Crew Cab based on MSRP $66,555. 2018 Silverado 3500HD Crew Cab based on MSRP $68,680. Offer includes price reduction below MSRP and Cash Allowance. Not available with special financing, lease and some other offers. Take new retail delivery by 7/31/18. See participating dealer for details. 3. Must finance with GM Financial. Some customers may not qualify. Not available with special financing, lease and some other offers. Take new retail delivery by 7/31/18. See dealer for details. 4. Based on MSRP $50,005. Must finance with GM Financial. Some customers may not qualify. Not available with special financing, lease and some other offers. Take new retail delivery by 7/31/18. See dealer for details. 5. Must finance with GM Financial at standard rates. Some customers may not qualify. Down payment required at signing, if applicable. Finance charges accrue from date of financing. Not available in Pennsylvania. Not available with low rate financing and some other offers. Take new retail delivery by 7/31/18. See dealer for details. **Current Lessees of 2012 model year or newer Buick, Cadillac, Chevrolet and GMC vehicles: Payments are based on an MSRP of $42,185. 36 monthly payments total $10,764. Must show proof of lease. Option to purchase at lease end for an amount to be determined at lease signing. Lessor must approve lease. Take delivery by 07-31-2018. Lessee pays for maintenance, repair, excess wear and disposition fee of $395 or less at end of lease. Payments may be higher in some states. Not available with other offers. Offers includes price reduction below MSRP and Cash Allowance. Not available with special financing, lease and some other offers. Take new retail delivery by 7/9/18. See participating dealer for details.